In Part I, I covered medicines and ointments. Now, on to transportation items I think are essential for the new parent. 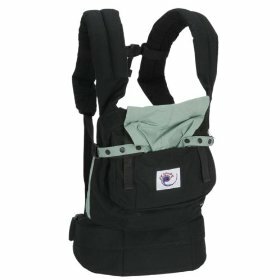 Supposedly better than the BabyBjorn, these are pretty handy, but mostly for Dads. Moms love this thing when the kids are less than 15 lbs! 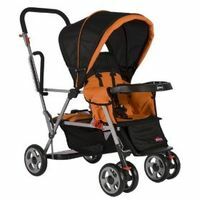 Available at Walmart, this carrier is great for taking sleepy or pre-walking children to outdoor places, esp. 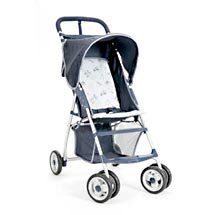 places like festivals or crowded street fairs where strollers are not helpful. One Caveat – if you are more than 6′ tall, the shoulder straps may not adjust long enough for you to rest the weight on your hips. 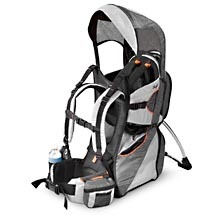 If you want something for more aggressive camping and hiking, try the more expensive Kelty Child Carrier. 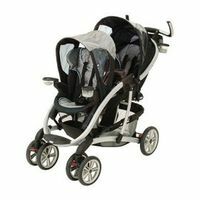 There is no perfect stroller, and you may need more than one type – light and heavy duty, the latter coming in the form of a ‘travel system’ which let you take the baby carrier/car seat in and out of the car directly into the stroller with a CLICK. 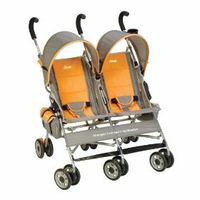 The best thing to do is go and try them out at Babies R Us or wherever. 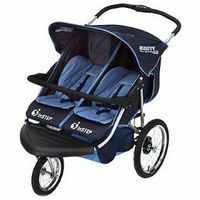 If you want to check out a more comprehensive selection, including really high-end strollers, see strollers.com. 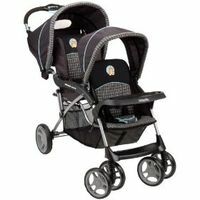 Heavy Stroller (Travel System) ($170) – Everyone loves Graco products, but Evenflo are also worth a look. Cons: Car seat straps in instead of locking in. 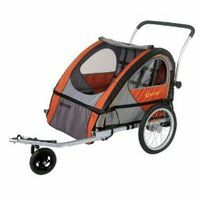 Pros: Great price, lightweight but sturdy, folds nicely. Cons: Canopies are flimsy, no real protection from sun or rain, add-on UV protector is expensive. 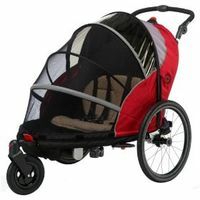 Pros: Very very easy to push around, front wheel can be fixed (for jogging) or turnable (for easy turning around corners at Target – just try that with a fixed front wheel like on most jogging strollers). Side-by side allows kids to interact. Big basket underneath. Cons: Heavy. Awning does not really protect from the sun, though there are add-ons you can buy to totally enclose your kids from sun and/or rain. Big even when closed. Pneumatic tires need regular (monthly) pumping up. No cup holder. Rear pocket is mostly useless due to the angle – stuff stays in there, but precariously. Kids can’t sit entirely upright. Pros: Compact when opened, rear child can stand OR sit. 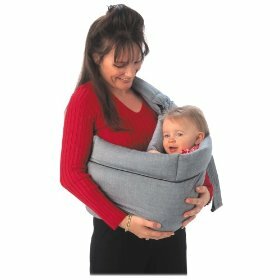 Can hold baby carrier in front, handle is high enough for tall person to push without being stooped. 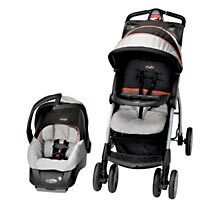 Cons: Heavy and pretty tall, and not that maneuverable with two kids (though this may be common to all double strollers that have the small hard rubber wheels rather than the dreamy control you have with jogging strollers). No cup holder. Cons: A little taller, and heavy. But still best of breed.